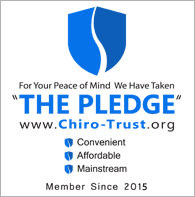 "Stuart's Premier Neck and Back Pain Clinic"
Chiropractors in Stuart Florida, we provide our clients the best Chiropractic care available. Are you looking for pain relief in Stuart FL? Let us show you how Chiropractic Care can end your pain today. Chiropractic care is one of the largest primary health care professions in the world. It offers a noninvasive drug free approach to some of the most common health care problems plaguing the world today. Chiropractic care is a branch of the healing arts which is based upon the understanding that good health depends on a normally functioning nervous system. Medical problems can happen anytime and may require immediate attention. We know that no one wants to wait for hours in an emergency room. Not to mention the enormous cost. We also know seeing your doctor means waiting days or weeks for an appointment time. At our facility you can walk right in to be seen by a practitioner that has many years of experience.. Although we are not an E.R., we can handle everyday problems that need immediate attention. So what exactly is "Massage Therapy"? Massage therapy is a relaxing treatment that has been around for thousands of years. In fact, the word “massage” comes from the Greek root “masso," which means "to touch". Massage therapists use a variety of gliding, kneading and cross-fiber friction strokes to work the muscle tissue, releasing tension and improving circulation. Our Medical staff specializes in bio-identical hormones, hormone replacement therapy (Hormonal Restorative Medicine), weight management programs, nutrition, and anti-aging. Our Medical Center in Stuart, FL strives to successfully meet the ever changing health needs of men & women. We offer services designed to promote optimal physical, emotional and spiritual health throughout the entire life. Our patients will always be our top priority as we strive to achieve perfection.